Introduction: The current pipeline of promising oral hepatitis C drugs could lead to a revolution in treatment for this disease in both developed and developing countries. At present, the recommended treatment is pegylated interferon alpha (in combination with ribavirin). 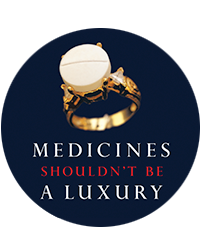 However, the limited availability and high cost of this medicine is a major barrier to expanding access to treatment in developing countries. Methods: We compiled information on marketed biosimilars and alternative pegylated interferon alpha products and price information on the innovator products in several developing countries. In parallel, we conducted a review of the biosimilars guidance by World Health Organization (WHO) and by selected national drug regulatory agencies. Results: The price of the innovator products ranges from US$200 to US$375 per vial, meaning that a full (48 weeks) treatment course costs US$10,000–US$20,000 per patient in the surveyed countries. So far, only a few countries have carved out exceptions to this high price. By allowing generics competition Egypt lowered the price of the innovator products to around US$40 per week, while Iran used technology transfer to establish local production and ensure availability within its health system. We have indentified six pegylated interferon alphas, which could be evaluated to expand the pool of quality assured products. Conclusion: WHO added pegylated interferon alpha to its Essential Medicines List released in July 2013, but other steps – and more progressive WHO guidance – are needed to ensure more immediate treatment options for patients in developing countries. In particular, WHO should re examine its 2009 ‘Guidelines on Evaluation of Similar Biotherapeutic Products’ in light of recent international debates about clinical comparative exercises and of accumulated regulatory experience on biosimilars. In parallel, WHO should establish an evaluation scheme of biological drugs to promote product availability and affordability. These considerations also bear on access problems for other essential and lifesaving biological drugs.